Microsoft Nigeria and National Information Technology Development Agency sign memorandum of understanding to strengthen ICT adoption and innovation in Nigeria. 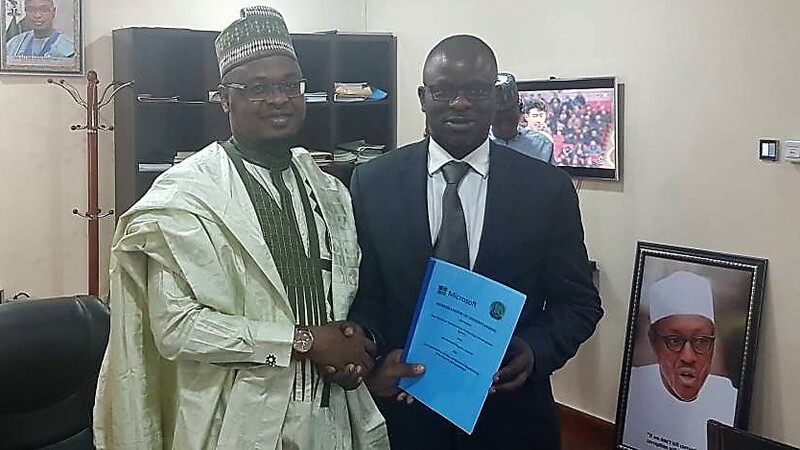 The National Information Technology Development Agency(NITDA) Nigeria and Microsoft Nigeria have signed a memorandum of understanding. The MOU seeks to see both parties working together to improve and strengthen ICT innovation and adoption in Nigeria. The collaboration will center on cloud policies, data protection, privacy laws and data classification frameworks. Akin Banuso, Microsoft Nigeria’s General Manager, shares on the delight to partner to technologically and digitally transform sectors. “We are excited to collaborate with NITDA. Microsoft is committed to providing technology you can trust. We have been actively involved in discussions with governments around the world to digitally transform systems. Also frequently asked by other governments to identify best practices for moving to the cloud. We are honored to be able to work with the Nigerian government on this framework. NITDA believes technology will be at the center of driving some of its governments priorities. Which include Job creation, anti-corruption drive, security, youth and skills training and economic growth. They therefore believe this collaboration will develop policies which drive growth and encourage investments.